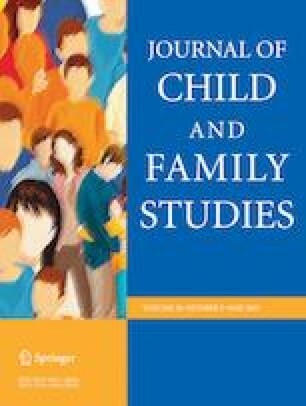 This study investigated predictors of sensitive and responsive parenting of 3- to 5-year old children within the context of a small urban Head Start system, serving mostly African American and Latino families (N = 86 dyads; 91% African American). Mothers and their children participated in a brief sadness induction (viewing a video clip validated for sadness induction in children), and mothers were subsequently asked to engage their child in discussion about the video. Mother-child discussions were videotaped and parenting behaviors and maternal affect were coded by trained raters. Controlling for maternal verbal ability, maternal facilitative emotional intelligence (understanding the adaptive functions of emotions) and aspects of maternal empathy (self-focused vs other focused emotional resonance) were examined as predictors of observed parenting with children during the interaction task. Higher levels of maternal facilitative emotional intelligence and lower levels of maternal empathic personal distress predicted sensitive and responsive parenting (maternal sensitivity; positive regard toward child), even after controlling for maternal verbal ability. Higher levels of maternal empathic personal distress predicted harsh and intrusive parenting (intrusive behaviors; expressions of anger and frustration). Results contribute to knowledge pertaining to predictors of parenting, particularly predictors of positive parenting. The results support the important and nuanced role of parental empathy in influencing parenting behaviors and point to facilitative emotional intelligence as an additional correlate of sensitive and responsive parenting. Measuring and investigating growth in parents’ facilitative emotional intelligence and empathic distress tolerance could help inform innovative new approaches to studying change processes in various parenting support programs. This research was supported by a grant from the National Institute of Mental Health (R01-MH80909 to Dr. Carroll Izard). Without the guidance, support and mentorship of Dr. Izard this work would not have been possible. We also thank Debbie Simon, along with the teachers, family service advocates, parents, and children of the collaborating Head Start system. Finally, we thank Fran Haskins, Aundrea Wilkins and Sarahfaye Heckler for their valued assistance in many aspects of this research. ESKE: designed and executed the study, analyzed the data, and wrote the paper. JH: consulted on data analyses and assisted with writing the paper. KED and FR collaborated in the writing and editing of the final manuscript. CJT assisted with interpretation of results and editorial decisions. This research was supported by a grant from the National Institute of Mental Health (R01-MH80909). The authors all declare that they have no conflict of interest related to the research presented in this manuscript. Informed consent was obtained from all individual participants included in the study. Ethical approval for study was granted from the University of Delaware Institutional Review Board. Miller, P. A., Eisenberg, N., Fabes, R. A., Shell, R., & Gular, S. (1989). Mothers’ emotional arousal as a moderator in the socialization of children’s empathy. New Direction of Child Development. https://doi.org/10.1002/cd.23219894406.